Our club’s business is conducted almost completely by volunteers. This is your club. The club leadership aspires to drive the club according to the wishes of the majority. But, we need to hear from you to know what your wishes are. And, we need your help. BCSA is always short on volunteer labor, and we can use help in almost all aspects of running the club. If you have a special talent, a bit of time to spare, or a special interest, contact the board and offer your services! If you have a suggestion for change, the best way to ensure it is implemented is to volunteer to chair the effort yourself! 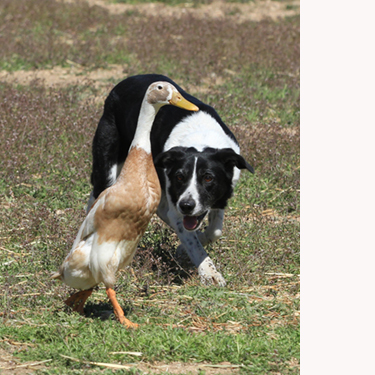 BCSA has a mission to preserve and improve the Border Collie while emphasizing our commitment to breed stewardship. If you are interested in being involved with one of the committees, please contact the committee chair or to volunteer, contact the club’s Vice President. To volunteer, contact Vice President. Approve and maintain a list of current BCSA approved herding instinct evaluators. Provide input and guidance for all BCSA sponsored herding activities. Compile Herding Statistics for Borderlines. 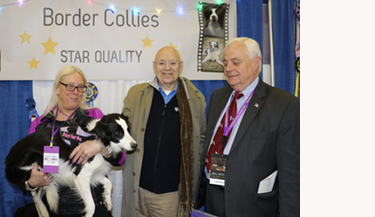 Borderlines is the official publication of the Border Collie Society of America, Inc.
Job Description: Solicit and coordinate outside advertisers for Borderlines. Borderlines Advertising Manager is paid at 20% commission for outside sales (sales to non-BCSA members). Job Description: Collect and coordinate the competition stats of BCs competing in AKC agility events for publication in Borderlines and on the BCSA website. Job Description: Collect and coordinate the competition stats of BCs competing in AKC conformation events for publication in Borderlines and on the BCSA website. 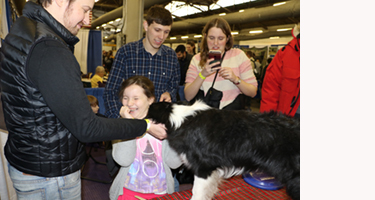 Job Description: Collect and coordinate the competition stats of BC’s competing in AKC herding events for publication in Borderlines and on the BCSA website. Job Description: Collect and coordinate the competition stats of BCs competing in AKC obedience events for publication in Borderlines and on the BCSA website. Job Description: Prepare a media kit to send to advertisers so that they know the basics for publishing in Borderlines. If you are interested in any of the above positions or contributing to the Borderlines Team, please contact Vice President. Send application packets to people requesting them and handle all inquiries about BCSA membership. Keep the official membership roster listing those members who are currently paid and in good standing. Collect completed membership applications along with fees and present candidates to the Board for vote. After the Board vote, the membership chair will send the new member’s fees to the treasurer, add the names to the database, notify new members (send membership information) and send a list to the editor of Borderlines so that their names can be published in Borderlines. Act as the official contact for all changes in address. Print address labels as required, from the most current membership list for special mailings (club votes, etc.). Work with other committees and members of the Board to produce special lists of current members and their activities as required (AKC requirements, etc). Send out renewal notices and notify members whose membership lapse. Photo by Mary Fish Arango. 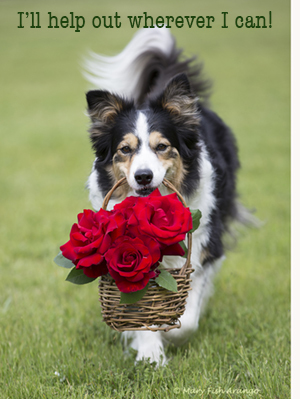 To put together, with the cooperation of the Border Collie fancy, a list of reputable, ethical breeders that will then be posted on the web site and published in Borderlines for the use of breeders and the general public. The BCSA will screen these breeders to the best of their ability through breeder submission of the required form, AND subsequent feedback from breeders and buyers alike. The BCSA accepts no responsibility, other than reviewing complaints, from the use of this list. This list will be updated in a timely manner. Committee charter: develop rescue educational material for BCSA website (some content already exists, but needs to be periodically reviewed). Coordinate between BCSA-affiliated rescue groups and individuals. Advertise BCSA rescue grant program to generate interest and use. Work with Webmaster to post “Featured Rescue” descriptions; work with rescue groups to submit dogs for this feature. Coordinate rescue activities at national specialty, including but not limited to the “rescue banquet” and auction. Expand and define BCSA’s role in supporting BC rescue and preventative measures to avoid more dogs in rescue long-term. Approximate time commitment: two-four hours per month. Advise the BCSA Board on health-related issues and scientific advances including how these could impact breeding, advertising and other such policies. Advise the Advertising Committee of Borderlines (and any other advertising committees) in matters related to health issues in dog or litter advertisement. Provide timely and relevant articles on health-related issues for publication in Borderlines. Review health articles submitted to Borderlines for appropriateness and scientific validity prior to publication. Provide guidance and critique of health-related materials developed by the General Education or other BCSA Committees/working groups, to insure scientific accuracy to the degree possible. 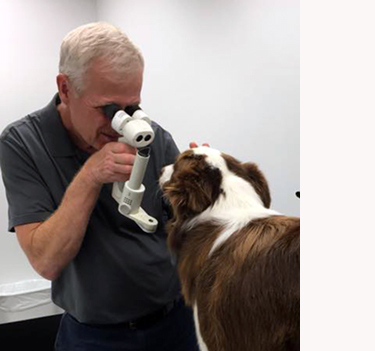 Assist BCSA Rescue leadership in developing guidelines for the assessment of significant health related problems in rescued Border Collies. Keep membership advised of scientific advances in health-related issues by obtaining appropriate material for publication in Borderlines. Provide brief health alerts for posting on the Internet should critical health-related issues/warnings arise. Assist the Chairperson of the National Specialty with planning, recruiting health care personnel, and running health related seminars and clinics at the National Specialty. Provide input into the establishment of a Health and Rescue Foundation by BCSA. Be a primary liaison from BCSA to this Foundation once established. 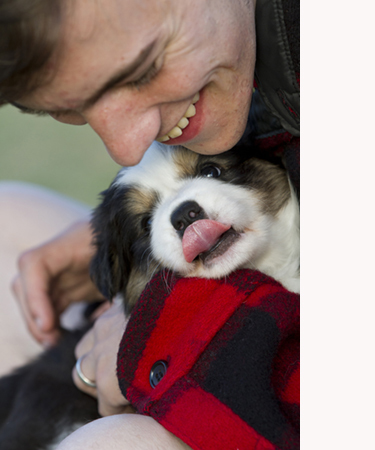 Liaison with other groups such as the AKC Health Foundation, Morris Animal Foundation, individual researchers and other Border Collie Clubs that have health-related proposals of interest to our breed. Facilitate review of any health-related proposals by appropriate experts and summarize and report on their findings to the BCSA Board to enable Board members to make educational/enlightened decisions on matters and policies pertaining to health issues. Provide guidance on subject matter, design, implementation and analysis for surveys thought important and timely by the Board (no more frequently than once every five years). Photo by Lorna Hastings Menaker. General Education Committee: To volunteer contact Vice President. Committee charter: to create, review and maintain all general educational material that BCSA provides to the public. This includes, but is not limited to, the pamphlet that is included in new BC registrations from AKC, BCSA website content, BC info pamphlets that are distributed to people doing educational booths, etc. Currently the website educational material needs to be reviewed and expanded. We need to flesh-out material on genetic disease and breeding, how to find a good breeder, what to do in cases of problem breeders, rescue, activities to do with BC’s, herding education (how to get started, etc), education for breeders, etc. Approximate time commitment: two hours per month. To volunteer contact Vice President. Job Description: Focus on recording history-related to both the breed as a whole, as well as our club’s involvement in that history. It’s important to capture what’s going on now (specialty winners, prominent dogs in the gene pool, key players on the scene, key developments in research and health, etc) as well as what’s gone on up until now, so that this information isn’t forever lost. The AKC Archives department has a newly hired professional archivist staff. They are working on creating an inventory for each breed of what is stored in the archives, for future reference and study/research. 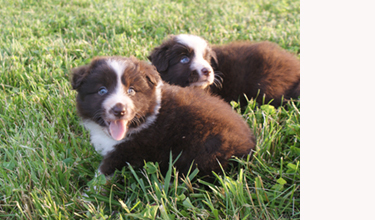 They have a lot of information pertaining to the Border Collie in AKC from the eras between the 1950’s to the 1990’s. But, sadly, once BCSA became parent club and AKC simultaneously laid off their archive staff, information retention was not kept up for our breed. So, we need to try to resurrect information from that era, as well as anything else of import from the past and current goings-on. Information on ROM dogs etc. This committee will work on a BCSA Juniors program and is seeking suggestions for things our Club can do to support and encourage Junior BC members. Website Policy, effective Aug 30, 2001. To volunteer contact the Vice President. Committee Charter: To develop the next “Border Recorder” or an annual-style book containing photos and background of significant contributors to the breed’s gene pool, paid advertisements for dogs, articles about breed history, health, genetics, etc. Estimated volunteer time required: two-four hours per month. Develop a recognition program for outstanding breeders. Committee: Ronni DeLay – Additional committee members needed. To volunteer contact the Vice President. The Futurity committee is responsible for running the futurity program, keeping track of entries for each futurity, reviewing potential judges and accepting proposals to host each year’s futurity competition. BCSA has a futurity competition for conformation, herding and a combination of the two. The first conformation futurity will take place in October 2009.Visit the Futurity Central page. Background: Futurity Stakes are popular competitions across many livestock exhibition venues, they allow breeders to “gamble” on the future potential of animals they produce. Many dog clubs also host Futurity competitions for field and/or show. Typically entry nomination fees are paid before a litter reaches a certain age or before the litter is even born. Later, these young dogs compete in a special competition at the National. Futurity competition winners earn a monetary purse as well as the prestigious honor of being named best out of all the litters produced in that Futurity year. Futurity programs are a great way for clubs to put focus on breeding excellence; and they encourage club membership since they are usually a “members-only” benefit. 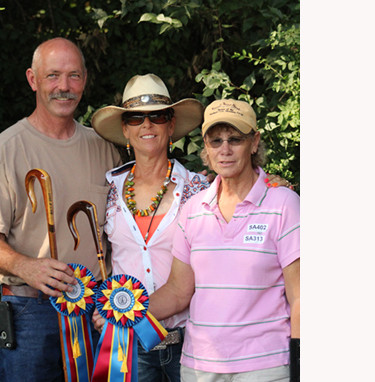 Conduct breed judge education seminars. Develop educational materials that illustrate correct evaluation of BC conformation (video, photo, booklets, etc). Organize a national education network of people who are approved to present seminars. 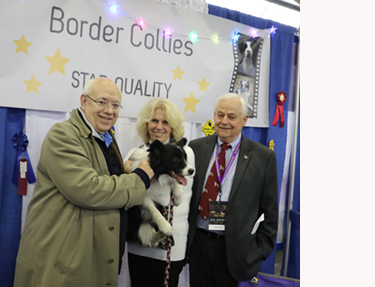 Members of the Judges Education Committee or people previously approved by Judges Education Committee Chair are the only people authorized by the BCSA to present an official BCSA description of the Border Collie Standard. Lisa Pruka, Chair – To volunteer, contact the Vice President. Photo courtesy of Lorna Hastings Menaker. Who are Legislative Liaisons? Dog club members who follow legislative issues and provide an important communications link between their clubs and the AKC Canine Legislation department. Does BCSA need a Legislative Liaison? YES! Every AKC club benefits from having a legislative contact. Legislative Liaisons help the AKC, dog clubs and individual purebred fanciers work together efficiently and effectively to address legislative issues. Monitoring their local news and staying aware of issues which may impact our sport. Alerting the AKC to pending legislative issues in their communities or states. Presenting views and interests of the purebred dog fancy to lawmakers, other citizens and the news media. Receiving materials, updates, and advice from the AKC Canine Legislation department and distributing information to fellow club members. Organizing and motivating club members to become active in the legislative process, and encouraging other interested fanciers to help advance legislation that will benefit purebred dog owners and breeders. Sharing their clubs’ experiences and expertise with government officials, members of the community and other interested fanciers. Preparing their clubs for action should a legislative initiative arise that requires input from purebred dog owners and breeders. How does the AKC Canine Legislative department help? Free information packets, position statements, sample legislation, and brochures created and distributed by the department help keep Legislative Liaisons informed. Taking Command monthly e-newsletter keeps Legislative Liaisons up-to-date on canine legislative issues occurring around the country. Legislative Alerts, brochures and other vital information are posted on AKC’s website (www.akc.org) regularly. Legislative Liaisons can even subscribe to our Alerts e-mail service, which notifies subscribers when new items are posted. In continuing to keep the lines of communication open within the Club, the BCSA Board has created an electronic mechanism for collecting comments, suggestions, and complaints from the membership. In order for your message to be considered, your name (first and last name) must be included, so that your BCSA membership can be verified. The moderator is responsible for monitoring input received via the Suggestion Box and will forward all messages from members to the Board as well as any additional people that would benefit from the content of the message. Messages that are not signed will not be forwarded or considered. If you would like to remain anonymous, you must indicate by checking the “Preference” box on the Suggestion Form. Your name and email address will be removed from the message before it is passed along and your identification will remain confidential. The BCSA Board encourages you to complete the easy, online BCSA Suggestion Box form and give us your comments, suggestions or complaints. We also benefit from compliments, too, since that is the only way we know that we are doing something right. 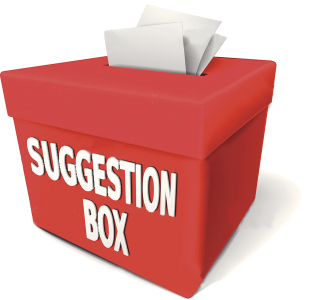 Click here for BCSA Suggestion Box. The Finance Committee reviews the budget and year-end financial statements from the Treasurer to verify compliance with club policies. To volunteer, contact the BCSA Vice President. Committee charter: to develop ways of recruiting new members and new regional affiliate clubs to generate club growth over the next decade. For individual members, seek out ways to build membership in areas where BCSA has few or no members. For affiliate clubs, publish educational material on how to get a club started, provide support for newly establishing clubs. Approximate time commitment: two hours per month.